There have been some items in the news that we need to catch up on. Sony, Fuji and Canon have all announced cameras in the last week or so and then there are some name changes to two companies. 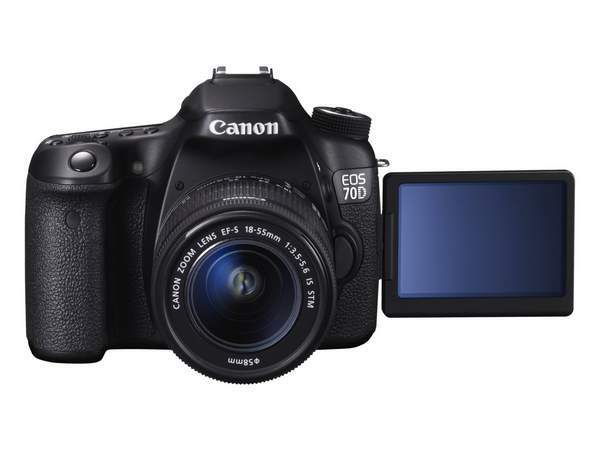 The EOS 70D features a new 20.2 MP APS-C CMOS sensor, designed and manufactured by Canon. It’s the first Digital SLR in the world to feature ground-breaking Dual Pixel CMOS AF technology, which delivers smooth and accurate autofocus (AF) when shooting Full HD movies and fast AF acquisition when shooting in Live View mode. Canon have also included wireless technology as first appeared in the EOS 6D allowing you to pair the camera to your smartphone and via the EOS Remote app you can not only transfer images from camera to device but use your smartphone as a remote control with Live View. Dual Pixel CMOS AF, Movie Servo AF mode tracks subjects as they move, or even as shots are recomposed, ensuring they’re always in focus. The key specifications then for this new machine are as follows. We should be getting some hands on time with it next week so look out for our first impressions article. Pentax Ricoh Imaging Company was formed October 1, 2011 as a wholly owned subsidiary of Ricoh Company Ltd. to provide more consumer-orientated offerings to the market. In case you were worried this was the end of the Pentax name, find a little comfort in the announcement that all DSLR and changeable lens cameras plus binoculars will fall under the Pentax brand. All compact cameras and “new technological innovations” will fall under the Ricoh branding. It is amazing to think that Ricoh, who once made plastic (and somewhat less refined) cameras using the Pentax K mount now owns Pentax. The company has had some interesting compact cameras over the years but sadly the brand lacked the appeal to attract many buyers. In speaking to some Pentax distributors there is mixed feelings to this announcement. In market’s like South Africa for example, the Ricoh brand has not had much representation for many years and even Pentax has had a tough time. Since Ricoh’s acquisition of Pentax, existing Pentax distributors have had the opportunity to deal in Ricoh’s cameras but it would appear for the most part they have stayed focus on Pentax. Our concern with this move – which is based largely on our local knowledge, being South Africa – is that Pentax DSLR cameras while having vocal advocates, are supported mostly by the faithful few and some feel that the lack of a full frame sensor or further development of the 645 system is a sign that their growth options in the system are limited. The best way to attract new people to the system would be through the compact cameras. This move appears to be forcing the market. We aren’t saying Ricoh don’t have some great cameras, they do, and we are itching to get our hands on their latest GR if the opportunity arrives. We will have to wait and see if the gamble works for them. Two new Sony cameras have been announced. 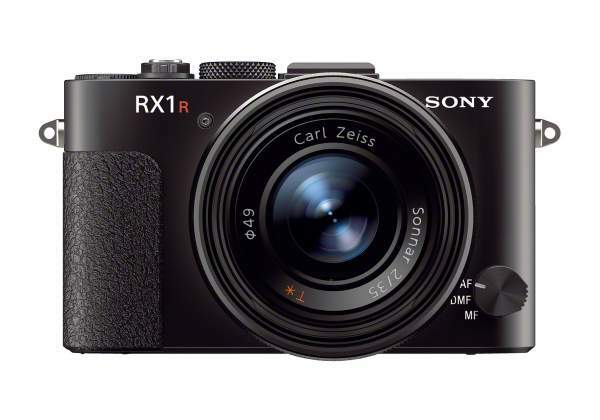 The Cyber-shot RX-1R is the same full frame, 24MP marvel that the RX-1 is but without an anti-aliasing filter on the sensor. The argument for removing the anti-aliasing filter from a camera is to get better resolution out of the sensor at the expense of getting more moiré. Price is the same as the RX-1 and both cameras will be available. 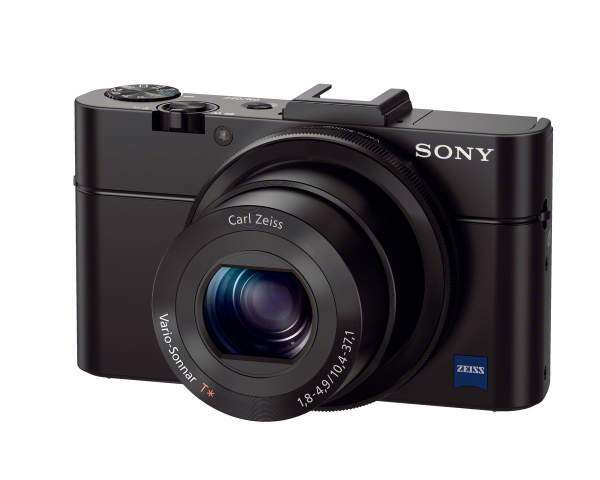 The camera that has our attention is the RX-100 II. It keeps to the 1-inch sensor size opting for a 20.2MP back-illuminated, Exmor R CMOS sensor. The claim is that the sensor has 40% more sensitivity to light. Sony have now included the Multi Interface Shoe which means you can make use of the new range of flashes (like the HVL-F43M that was also just announced), video and NEX/Alpha accessories including an electronic viewfinder. The 3-inch (WhiteMagic) LCD now articulates. On top of all this, the new mark two camera also features Wi-Fi and NFC. Apparently both version of the RX100 will continue to be on sale. Zeiss is changing their name… well Carl Zeiss that is. It is a logical change really. The company has officially dropped Carl from the name and the company is now simply Zeiss… which is what we’ve been calling them for some time now, right? The X-series has been a huge success, or so it appears, for Fuji, yet for many of us this increasingly popular system may be a bit out of our reach, certainly the X-Pro1 and even X-E1. 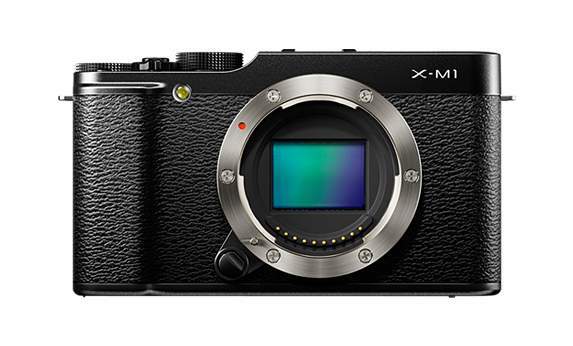 Well for those of us willing to live without a viewfinder, Fuji have introduced the X-M1. While maintaining the retro look, what is a shutter dial on the X-Pro1 and X-E1 is simply a multi-purpose, electronic control dial on the X-M1. It does share the same 16MP APS-C sized, X-Trans CMOS sensor as it’s larger siblings. It will be kitted with a newly announced XC 16-50mm F3.6-5.6 OIS and has a suggested retail price of $800.00. We look forward to trying this one out. Oh, and did we mention it also supports wireless connectivity?